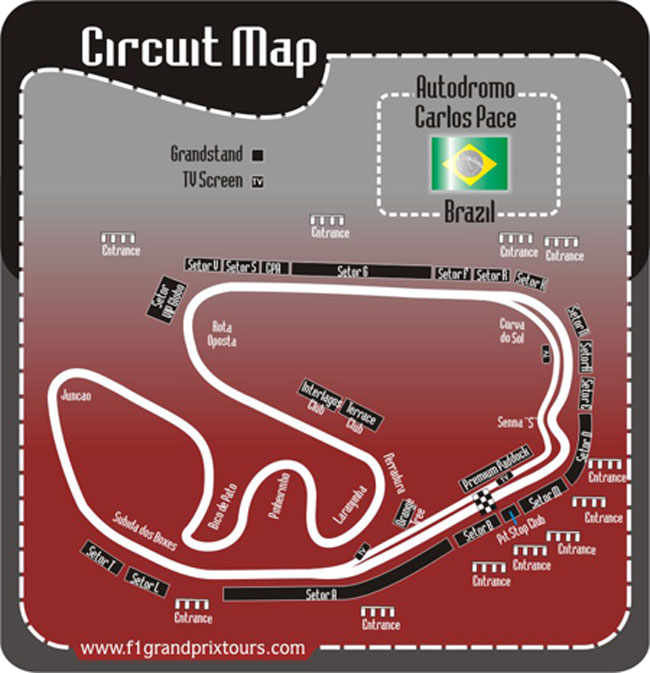 For the 2015 Brazilian Formula 1 Grand Prix to be held on the Autodromo Jose Carlos Pace (Interlagos), we can offer you superior hotel accommodation, with a great choice between a 4 or 5 star hotel in Sao Paulo, both superbly located in the city’s business and safe tourist district of Jardins. Our travel package price also include return flights, as well as all airport and guided circuit transfers to the Autodromo Jose Carlos Pace for the duration of your trip. Once you have chosen your preferred Formula 1™ holiday package, please add your choice of race tickets to the price, to calculate the total trip costs, for the 2015 Brazilian Formula 1™ Grand Prix. A choice between 3/4-night accommodation in a superior 4 or 5 star hotel in Sao Paulo both superbly located in the city’s business and safe tourist district of Jardins. 3-Night packages: Depart SA 13 Nov and return on 17 Nov 2015 (arriving in SA on 17 Nov 2015). 4-Night packages: Depart SA 12 Nov and return on 17 Nov 2015 (arriving in SA on 17 Nov 2015). F1 Grand Prix Tours can now offer you fantastic no-deposit, travel financing on our Brazilian Formula 1 Grand Prix travel and holiday packages, which may also include the price of race or hospitality tickets. Easy online application with quick (subject to credit) approval – please enquire.